Are you looking to buy a 2 bhk flats in noida extension but confused about the options due to too many projects to select from. 2 bhk flats are great demand because of the nuclear size of the families. These flats are ideal in size for young urban population. We are trusted and experienced real estate agents in noida extension, give you the best advice to buy flats which will suite your preferences. Contact us Now on 9871599857 for 2 bhk flats in noida extension. Buy flats in residential societies of prestigious and well known developers. Good discounts available for early booking. Hurry now and avail the discounts. These flats are loaded with modern features and facilities. Good Offers available on corporate bookings. Noida Extension provides plenty of options for owing 3 bhk flats and apartments. 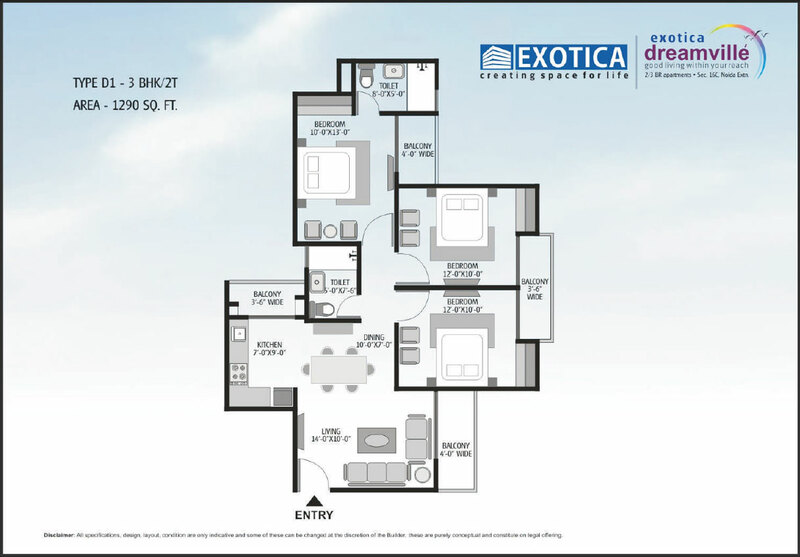 3 bhk flats are ideal for a growing family and people looking to own a bigger home. These flats come in various sizes starting from 1100 sq ft to 1850 sq ft. The flats are well equipped with all necessary amenities like 24 hour power backup, round the clock security, RO water supply, park, community hall, ample parking space etc. We can suggest good 3 bhk flats in noida extension according to your budget and requirements. Located on 60mtr wide road. Base Theme – landscape of international standards. Ansal API is coming up with a commercial project in noida expressway. Not many builders apart from a selected few are keen on launching commercial projects in noida expresswat. But keeping in mind the demands and needs of future Ansal group has taken a step ahead by launching a commercial project. This commercial projects fulfills the needs of people who want to own a commercial office space in noida. Ansal corporate park offers affordable commercial office spaces in noida . There is ample of space in these commercial offices. Very good option for business with requirements of large spaces. The construction quality and facilities for lift , air conditioning, power back up and security systems are of highest standards. Design is modern and uses the space in most efficient manner. We are professional and experienced Real estate agents and Property dealers Indirapuram, Property dealers Noida Extension, Real Estate agents in Noida Extension. Please feel free to contact us on sales@noidaextension.net.in for any queries related to Ansal Corporate Park. Hawelia group is coming up with a new project HAWELIA VALENOVA PARK with premium apartments in noida extension(greater noida west). This is a new launch from Hawelia after the success of Valencia Homes. These are 2bhk and 3bhk flats with plenty of pluses. You can get more details from real estate agents in noida extension about this project. These are premium flats at economical prices starting at just Rs. 30 lacs. Indoor games like TT, badmintion pool etc. Amaatra homes is a new project located in very prime location of Noida Extension. The project offer2, 3bhk flats and apartments at a very affordable price. Flats being offered in amaatra homes are no ordinary flats, in fact these are flats with premium facilities at a very economical budget. Amaatra Homes is spread over a sprawling area 0f 5 acres, located at main road of sector 10 noida extension. There is ample of greenery around the area. Buying a property is not an easy decision. One has to go through lot of property searching, visit various locations and dealers, keep in mind the budget constraints to invest in a property. We as a trustworthy dealers are offering flats in noida extension at very affordable to buyers who are looking for home within a range of 20-40 lakhs. These flats are located in the upcoming area of noida extension or greater noida west. There are plethora of options to choose from. Noida extension offers best option to home buyers for cheap property. It is the cheapest existing property option in delhi ncr area. So don’t delay and contact us for buying property in noida extension. Noida extension is the growing hub for investors and home buyers alike. 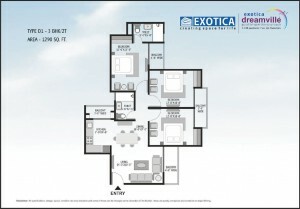 There are multitude of options available for flat buyers. The new buyer of India is young and the builders are cashing on the purchasing power of youth. Big names in the real estate sector of Delhi NCR have already established their foothold in noida extension. Supertech, Guarsons, Amrapali, Rudra, Nirala are some of the most prominent developers in these areas. There are plenty of new flats for sale in noida extension at affordable prices. With the facilities available at Eco-Village-III, it is a mini township that takes your comfort and convenience to a whole new level. It has facilities for club, swimming pool, park, sports facilities like bowling alley and commercial shops including departmental stores saloons , laundry, medicine shops and beauty clinic.